Reports of a Xiaomi Android Go device have been making rounds since late last year. 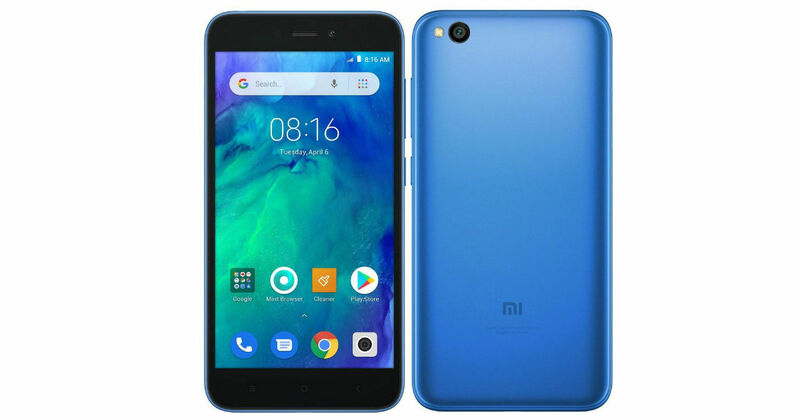 Multiple spottings of a handset with Redmi Go moniker were found on a number of Asian certification portals. However, a bare-all leak today has come to light today with a lot of info including images and specs being revealed about the device that looks certain to arrive in the near future. Furthermore, to lend credibility to the leak, a listing for the Redmi Go device has gone live on an e-commerce portal Lazada in addition to a mystery teaser that subtly hints at a Redmi Go device coming soon. Delving into details of the leak, the Redmi Go device will feature a 5.0-inch LCD display with a 16:9 aspect ratio and 1280 x 720p (HD) resolution. It is believed to be powered by a Qualcomm Snapdragon 425 SoC which is quite good for an Android Go device. RAM and storage are displayed as 1GB + 8GB respectively and there will be options for MicroSD expansion up to 128GB. For photography, the Redmi Go smartphone will rock an 8MP shooter with f/2.0 aperture and a 5MP selfie taker with an f/2.2 aperture. On the software side of things, this handset will reportedly run Android 8.1 Oreo (Go Edition) and will be fueled by a 3,000mAh battery. In terms of connectivity, the smartphone will offer dual SIM and dual 4G capability, dedicated MicroSD card slot, Wi-Fi 802.11 b/g/n, Bluetooth 4.1, Micro USB and USB 2.0. This is a full-blown leak considering the amount of details that have leaked in it. Also, it seems there won’t be a lot of wait before this goes official and it could first debut in the Philippines.